Jigsaw Homes Group is looking to recruit a number of Non-Executive directors. There are three board positions available – these are exciting opportunities, that will enable the successful candidates to help shape strategic direction and support the Executive Management team in delivering the Board’s vision. We are looking for numerate and logical thinkers with good communication skills in a range of disciplines and a strong senior management track record in a professional environment. Please see the individual recruitment packs. We particularly welcome applications from female and BAME applicants, who are currently underrepresented on our Board. The closing date for all applications is 5pm on Monday 18 February 2019. Chair of North Board Non-Executive Director – £11,500 per annum. The North Board is responsible for five of the six landlord members of the Group – Adactus Housing Association, Beech Housing Association, Chorley Community Housing, Aksa Housing Association and New Charter Homes – which together they manage almost 30,000 homes across the North West of England. 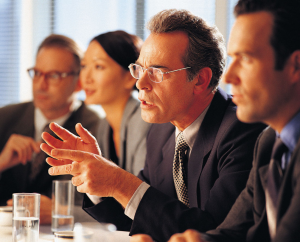 Commercial Board Non-Executive Director – £4,500 per annum. The Commercial Board is responsible for the Group’s non-landlord activities. This includes our charity Threshold, the Family Support Charity and supported housing projects managed by New Charter Homes and Adactus Housing Association. The Board also oversees the activities of New Charter Building Company. Gedling Homes Non-Executive Director – £4,500 per annum. Gedling Homes manages approximately 5,000 properties in Nottinghamshire and is one of six landlord members of the Jigsaw Homes Group. The Gedling Homes board meets four times a year.